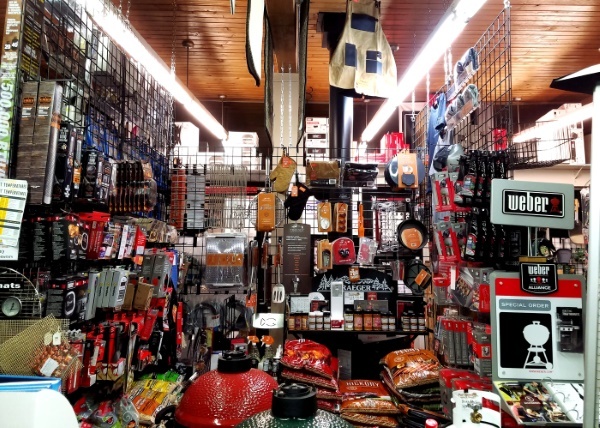 Besides being Portland’s Largest Barbecue Grill Store, we also have the largest selection of barbecue accessories in the metro area. We proudly carry grilling accessories by: Grill Pro, Mr Bar-B-Q, Frog Mats, KettlePizza, Weber, Big Green Egg, Traeger, Smokehouse Products, Pit Barrel Cooker, Kick Ash Basket, Miracle Grill Mat, Smokeware Products and Much More. Many different high quality models and colors of gas and charcoal grills are available. We offer free assembly of all grills. We also offer BBQ grill parts, grill covers, grilling tools, charcoal, wood chips, propane tanks and propane filling service. If you need an accessory for your Gas Grill, Charcoal Grill or Smoker, we probably have it. Stop by for all your Barbecue needs!